The Girl In Between caught my interest right away. A girl who sleeps a lot, weeks at a time who goes to some other place when she is sleeping? Sounds interesting. Right from the first pages I was drawn in. Only it didn't stay that way. The book sounded interesting, I was hooked, but then the story/writing kept going from great to just so so and back again. It was an odd read as I didn't find it consistent. Sometimes I was loving it, sometimes not so much. Strange. So the story of Bryn and Roman is interesting. Bryn sleeps a lot, more than a normal person, and it really affects her life. How could it not? 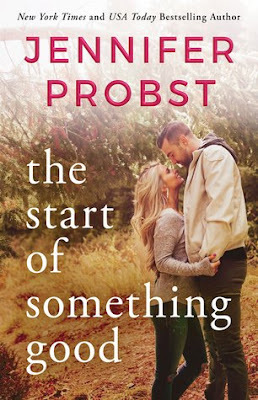 When the story opens she finds out her ex-boyfriend, Drew, whom she broke up with before she went to sleep a few weeks ago has moved on to someone else. Drew keeps showing up and wanting to get back together, but it written in a cartoony villain like way. I couldn't quite get a feel for who he really was or why he was being like this. He seems to not be able to remember the horrible things he did to Bryn, even when she points them out to him. Strange. Maybe there is more going on with him that you will find out in later books, like the dark that seems to be after Bryn takes him over or something. I don't know. I also had an issue with the connections between characters. I didn't see any. Between any of the characters. I never really felt like I got to know any of them. Roman, the guy from Bryn's dreams? Well apparently they fall in love. I really didn't see that at all. They barely became friends and suddenly it is just like we are in love. Oh, okay...you don't even seem like you care that much for each other. Roman seems like he just doesn't want to be alone in the dream world, like anyone would be better than no one. So it was hard to really get into the story when you can't connect or understand any of the characters. The cousin/best friend was the same way. I didn't understand her or why she did the things she did. She, the cousin, likes their other best friend, and he likes her, but she won't do anything with him. Why? Well I am not quite sure. I know what they told me, but it wasn't shown that she was afraid and didn't want to losing him and whatnot. The conversations Bryn and her had about everything were strange a lot of the time. They didn't come off as realistic or how people actually talk. It was more to let the reader know something instead of showing the reader through the persons actions and feelings. So it was not that great. But in between all of this odd character conversations and such it would get a bit interesting. The whole Klein-Levin Syndrome was interesting. I didn't know anything about it prior to this book so I was happy to learn a bit about that. Bryn's dream would was also pretty cool, and the dark shadows were well done. Kind of creepy and you could tell not good for Bryn or Roman. Those were the best parts of the book and really kept me reading to find out what was going on. Unfortunately this is part of a series so you have to continue reading to get the whole story. I probably will eventually, but this story itself wasn't good enough for me to run right out and get the next book. Good, interesting at times, but not a great read.